The Museum of Decorative Arts in Prague requests the pleasure of your company at the presentation of the book Koudelka Returning. The event will be attended by Josef Koudelka and the people involved in the creation of the book: the graphic designer Aleš Najbrt and the authors of the articles – Irena Šorfová, Jan Mlčoch, Josef Moucha, Tomáš Pospěch, and Josef Chuchma (who will also moderate the discussion). The gathering will take place on Thursday, 9 August 2018, at 6 pm, in the multipurpose hall on the second floor of the Museum (address: 17. listopadu 2, Prague). The publication can be purchased there at the museum price and Josef Koudelka will gladly sign your copies. 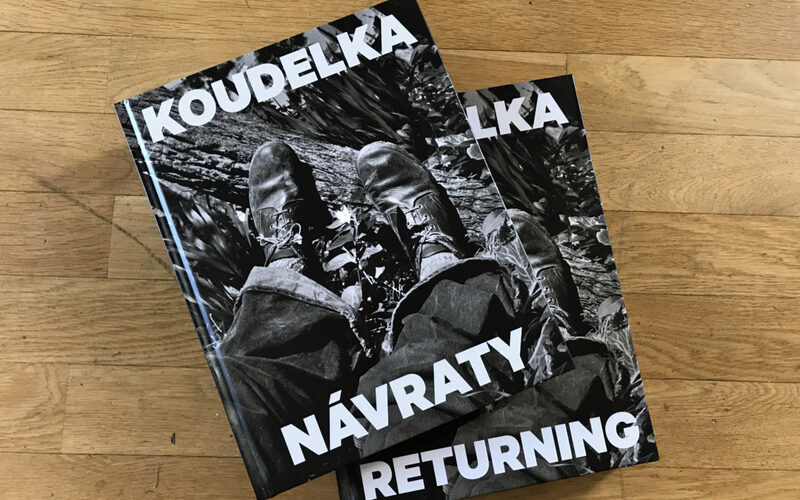 Koudelka: Returning (and the Czech original Koudelka: Návraty) is published by the Museum of Decorative Arts together with KANT to accompany the retrospective exhibition of the same name, running at the Museum until 23 September 2018.